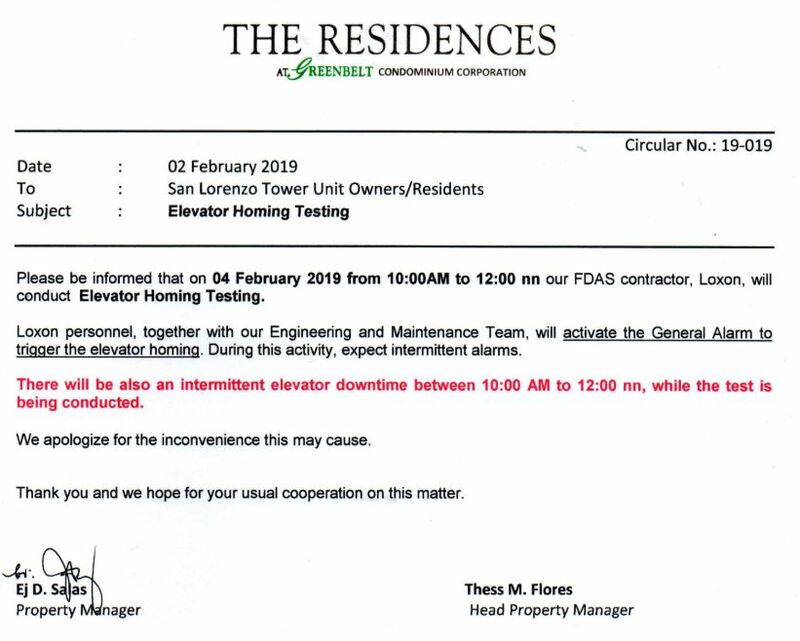 Please be informed that on 04 February 2019 from 10:00AM to 12:00NN our FDAS contractor, Loxon, will conduct Elevator Homing Testing. Loxon personnel, together with our Engineering and Maintenance Team, will activate the General Alarm to trigger the elevator homing. During this activity, expect intermittent alarms. There will be also an intermittent elevator downtime between 10:00 AM to 12:00NN, while the test is being conducted.